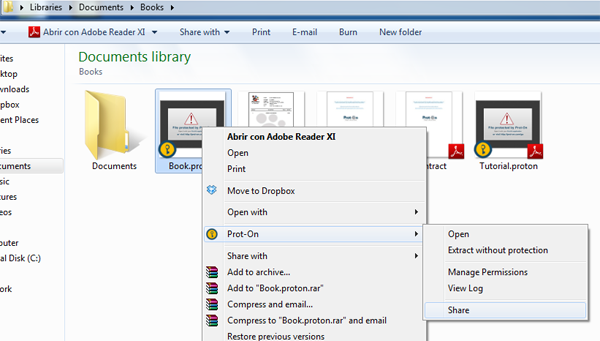 Once you have protected your document you have the option to share through Dropbox directly from Prot-On. 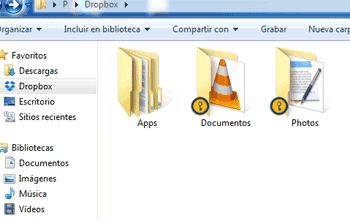 Avoid data leakage protecting folders too. With your cursor on top of the protected document with Prot-On, right click and select Prot-On, share, and “upload file to: Dropbox” and then copylink. The first time you do this Prot-On will ask you to associate your Prot-On and Dropbox accounts. Once the accounts have been associated, your document will upload to Dropbox and you will be provided with a link that you can send to anyone. You manage permissions on these documents just as you regularly would. Click videoyou will be able to watch the process and how the recipient receives the document.